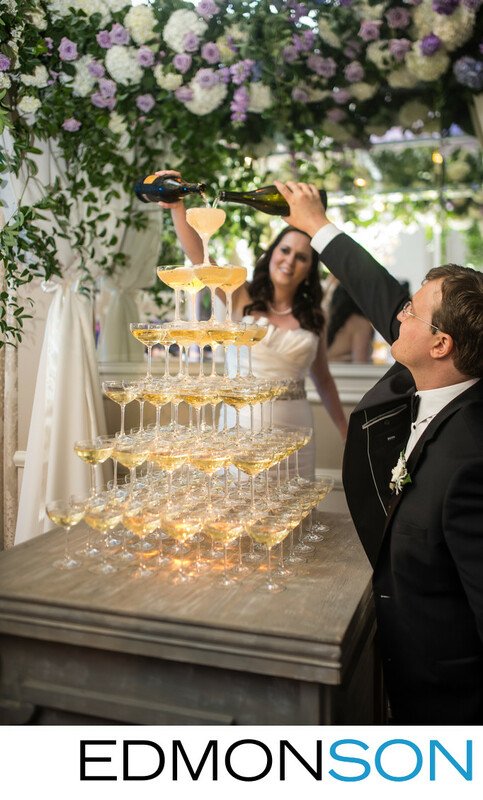 Creating a fun experience for their wedding guests before the toasts, the bride and groom pour the finishing touches on their champagne tower. They stand under a canopy of flowers created by Jackson Durham Floral inside of the Adolphus Grand Ballroom during a break in their reception. The champage tower idea came from The Grand Bevy, a leading luxury bar service. 1/250; f/6.3; ISO 1250; 35.0 mm.